QYou signed the Free Trade Agreement with Singapore. What is the next step? As we promised, we will have countervailing duties and the trade related laws passed in Parliament when we meet in February. We have already debated the issue. It is now a matter of passing. The vote will be held when we meet in February. As far as the agreement is concerned, it is now up to the private sector to make use of this agreement. On the one hand, it is to improve trade. On the other hand, what we expect is the arrival of Singaporean investors to Sri Lanka. QThere are allegations that the proper procedure was not followed in working out this FTA. In fact, some professional groups made this allegation. What is your view? It is not true. We have been discussing this for over one and half years. We have consulted all the chambers and the professional associations. In one of the professional associations, we found some adverse comments made. It is only a couple of individuals, not the association. It is not going to affect them. QWhat are your plans to reduce the balance of trade between the two countries? The FTA is not only for reducing the balance of trade. This is a very comprehensive FTA. You cannot reduce the balance of trade. It depends on what we import. We import from them petroleum products, lubricants and so on. These are high-value items. These are not covered by the FTA. Over 90 odd percent of imports from Singapore will not come within the FTA. It is the same with India. Most of the items, coming from India, fall outside the FTA. Those are things required for the country, be they petroleum products or motor vehicles. QWhat are the tariff concessions we have received from Singapore? Singapore is one of the most liberalized countries in the world. Their tariff is extremely low in any case. What we are looking at is how we can enter the markets in ASEAN. This is a high-quality agreement we have signed with one of the most liberalized economies in the world. We sent a clear message to the rest of the world that we are open for business. QHow far have you progressed with regard to the Economic and Technology Cooperation Agreement (ETCA) with India? We have had seven or eight rounds of negotiations. At the next round, we are trying to see whether we can finalize this by July or August, this year. QHow are you going to open the service sector in this instance? We are not opening the service sector at all. Yet, in the FTA with Singapore, we have allowed corporate sector transfers. It is advantageous to us. For India, it should be investment-based. There will be certain standards they will have to make. People will be allowed to come only in areas where we do not have sufficient expertise. Only qualified people will be allowed to come. As for the FTA with China, we are waiting for some clarifications from them. Talks have been stalled for some time. Hopefully, we will recommence talks in March, this year. In the long run, we have to be competitive. We have a small domestic market of 20 million people. We are looking at the world market. The only way we can be competitive is by restructuring our industries, bringing in new technological know-how. The whole world is changing. If you do not change, you will be left behind. You can see how countries like Vietnam and Thailand have progressed so fast. We have to get out of the island mentality. QWhen you say island mentality, what does it mean? We are only looking inwards. It makes us inefficient and uncompetitive. Last year, we had the highest export turnout of US $ 15.15 billion. We also had the highest ever Foreign Direct Investment (FDI) of US $ 1.63 billion. This shows that our economic policies are correct. We are on the right track. We expect our exports to go up by another 15 percent, and the FDI to be over US $ .2.5 billon. We can keep this momentum. After three to four years, we will be able to overcome our problems. QWhen attracting FDI, how can you compete with countries like Malaysia, Bangladesh and others in the region? 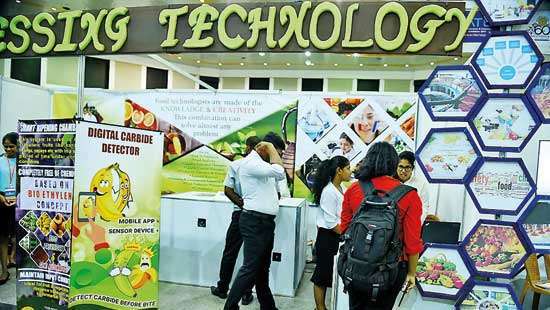 Along with FDI, there comes technological know-how. It is not only funds. They have to make sure that they make industries more competitive. We have to think of upskilling as well. They will ensure that our skills are developed. QThere is a shortage in our labour market. How are you going to address it? There is a shortage in certain industries. We have to look at whether to bring in certain labourers as well. The construction industry is one where there is a shortage. There is a shortage in the apparel industry. Last year, we had the highest export turnout of US $ 15.15 billion. We also had the highest ever Foreign Direct Investment (FDI) of US $ 1.63 billion. This shows that our economic policies are correct. We are on the right track. QThe President said recently that the economy was run by the UNP for the last three years. He said he would take it over. What do you feel about it? What people talk on election platforms should not be taken seriously. QThis comes from the Head of State. How can you be-little it? But, it comes from a political platform. 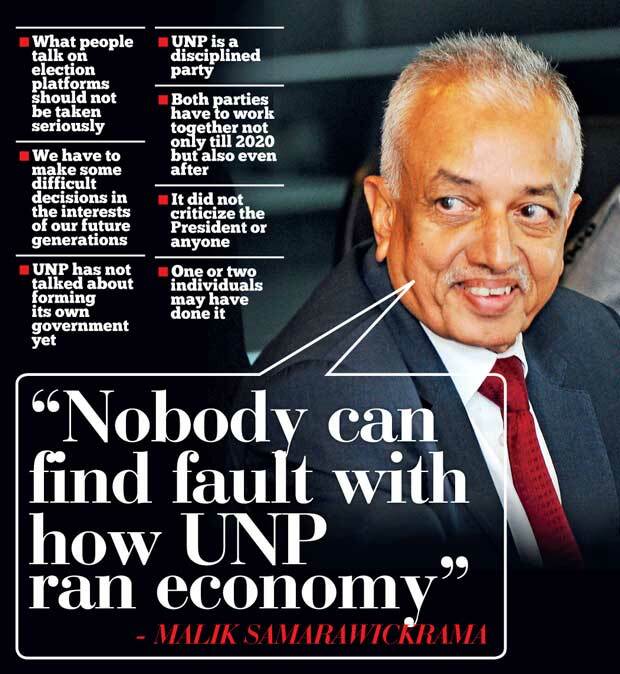 I do not think anybody can find fault with how the UNP ran the economy. We can already see that investment has gone up. Exports have gone up. This is only the beginning. Development work is going on. It may not be visible. We do not talk about it. There are a lot of activities going on. The freeway is being constructed from Kandy to Colombo. We just issued Request for proposals (RFP) for the Ratnapura expressway. A lot of rural roads are being constructed. A lot of water projects are being done. Power plants are being set up. On the other hand, we have given relief to people. Drug prices have come down substantially. Whatever anyone might say, the cost of living, compared with 2014, has come down. Gas prices have come down. Consumer items have come down in prices. In spite of severe droughts for three to four seasons, we have ensured there is sufficient food for the people. Even rice is now available at a reasonable price. QYou mean to say that the allegation about mismanagement of the economy does not hold water? I do not think so. We have to make some difficult decisions in the interests of our future generations. It could not have been business as usual. If we had gone the same way, we would have been bankrupt by now. We had to take hard decisions. Results are beginning to show. By 2020, our country will be a different place. QWhat about the plan for the development of the Mattala International Airport? RFPs were called. No proper proposal had been received. Now, discussions are underway with the Indian Aviation Authority to set up a joint venture. 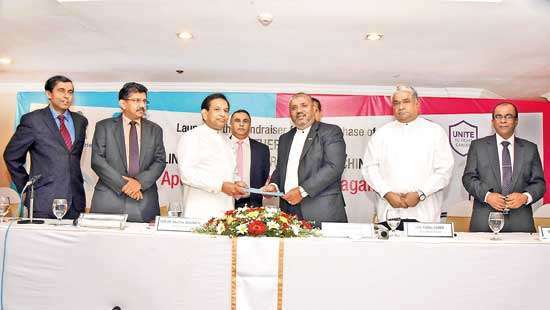 It will be between the Civil Aviation Authority of Sri Lanka and the Indian Aviation Authority. This is a high-quality agreement we have signed with one of the most liberalized economies in the world. We sent a clear message to the rest of the world that we are open for business. QIs that to develop it as an international airport? Yes, it is for the development of it as an international airport. Viability is being studied. If the Indians are coming, they will ensure that it is viable. There is a lot of traffic from India. QHow far have you progressed? Officials are continuing the discussions. We should be able to complete it within the next three to four months. QThe UNP MPs talk about the formation of a UNP government in the future. What is your view? We have not discussed anything of this as yet. I think if you are to develop this country, both the parties have to work together not only until 2020 but even after that. As UNPers, we are only interested in developing our country and making it a better place for our people. Others, for political reasons, may be saying various things. QNow, the two parties take on each other in a bitter way. How feasible is it to sustain the unity government? The UNP has not criticized the President. One or two individuals may have criticized. The UNP, as a party, has maintained our discipline. The Prime Minister has not responded. The senior ministers have not responded. One or two people may have said various things. QBut, the President took that criticism so seriously. He even staged a walkout from the Cabinet. We heard you approached the President and tried to pacify him. What is your view? I do not like to discuss what happened in the Cabinet. We have given relief to people. Drug prices have come down substantially. Whatever anyone might say, the cost of living, compared with 2014, has come down. Gas prices have come down. Consumer items have come down in prices. QAgain, is it possible for the two parties to be together under these circumstances? Well, from our point of view, we have no issue. If we are to develop this country, we have to be together. We have to accommodate other parties. If we are to have development, we cannot have divisive politics. QThe UNP promised to establish a rule-based environment. But, the Central Bank bond scam took place under the UNP –led government. How has it affected your image? The Commission’s report very clearly says that the UNP, as a party, is not involved. No one from the UNP is involved. We are for a rule-based structure. We are making a lot of changes as a result. We are making a lot of reforms in all fronts-on the monetary policy, fiscal policy, trade policy etc. All these will be done taking into account the best practices of the world. QThe UNP is accused of attempts to cover up the scam. What is your response? The UNP has never covered up anything. We have said that action should be taken against whoever is responsible. We are also making our own inquiry. The commission has requested the Attorney General to investigate. If there is anyone to be prosecuted after the Attorney General’s investigation, the party will certainly take action. QBe it even an MP of the party? It can be an MP, Minister or anyone. QActually, one Minister of your party was stripped of his portfolio over the bond scam. What is your view? You are talking about Ravi Karunanayake. In case of Ravi, he resigned. That is nothing to do with the bond issue. That is because of a private transaction he has had. QLater, Mr. Karunanayake said there was backstabbing within. What is your view? I do not think there is anything like that. The UNP is a very disciplined political party. We do not criticize for the sake of criticizing. At the same time, if any person is found guilty, action will be taken. QYou said the two parties should stay together. 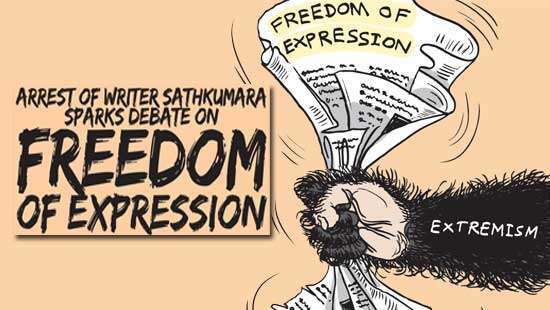 Does it mean you will have a round of talks with the SLFP after the election for it? Yes exactly. The policies of the two parties have been quite different. For years, we have been fighting each other. Some people are still having the same thinking. Thinking must change. QYou were involved in politics for a long time. Yet, you entered Parliament for the first time this year. How do you feel? It is not easy to get things done in politics. I am coming from the corporate sector. First, we have to change the mindset of the people. It is time to change the mindset of politicians. Most of the politicians are only looking at the next election. As far as the technocrats in Parliament are concerned, we are interested in doing something for the country. QThere is an allegation that the UNP made a lot of money out of the bond scam. Former MP Rajiva Wijesinha even implicated your name. What have you got to say? All these are baseless allegations. I do not think anyone should listen to Rajiva Wijesinha. The bond commission itself said nothing of that sort happened. Then, why should anyone take Rajiva Wijesinha so seriously? OMG.....God too is made speechless ! Really you baby, were you born yesterday?